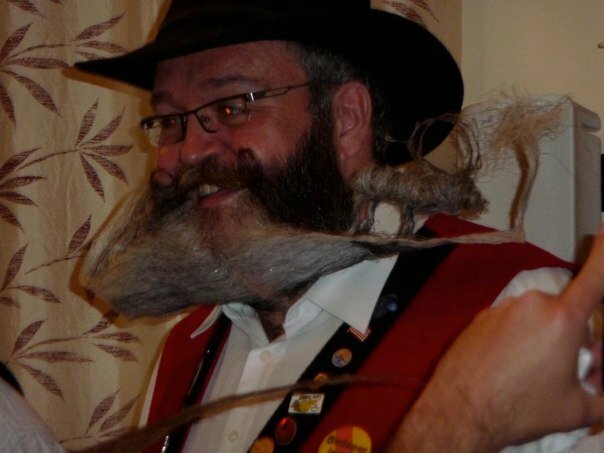 Deadly is the Female: Deadly doll's at the World Beard & Moustache Championships! 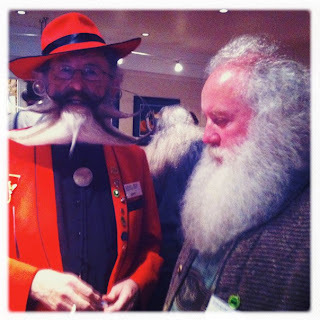 Deadly doll's at the World Beard & Moustache Championships! 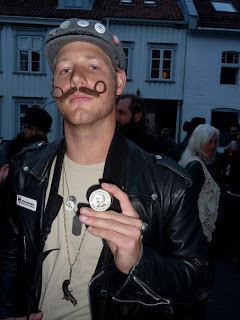 Our good friend Allie Astell got the chance to go to Norway to hang out at the World Beard and Moustache Championships. As you do. Allie and her friend Laura went over to represent Captain Fawcett, purveyor of Captain Fawcett's Moustache wax. 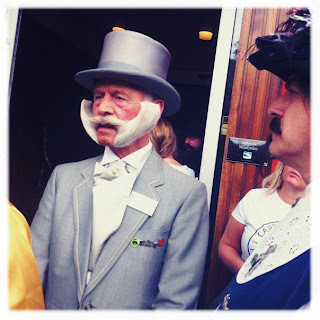 With their best Deadly outfit packed they mingled with some fantastic facial hair and some lovely people. Allie wore her red Doris Shirt with a Pin up Pencil Skirt in Cherries print and Laura wore a Heidi dress in Cherry print. They had a Red Train Case full of Captian Fawcett goodies. Hi Allie, tell us a little bit about the World Beard and Moustache Championships in Norway & how on earth you got involved? It's a biennial competition in which men with beards and moustaches display lengthy, highly-styled facial hair. 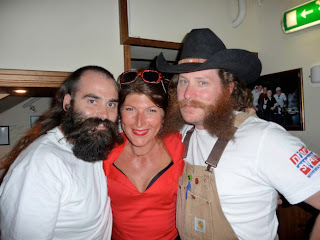 The first Championship took place in Germany, in 1990 and over the past few years competitors with the world's most hirsute faces from the UK, America, Germany and other countries convened for the championships in Brighton, Anchorage, Alaska, and last weekend the 2011 Championships were held in Trondheim, Norway. The wax is handmade in deepest Norfolk and is available in 3 scents: lavender, ylang ylang and sandalwood. Legend has it that the Captain (an explorer) went missing in 1905 along with his secret moustache wax recipe. It has recently been discovered at a house clearance in Mytchett, Surrey, and is being lovingly recreated. If anyone here has been keeping up with the Captain Fawcett's Journal , Facebook and Twitter pages they might know that he recently got himself into a bit of a scrape on an expedition to the Arctic and the poor soul is now recovering from scurvy at a sanatorium in Bognor Regis. 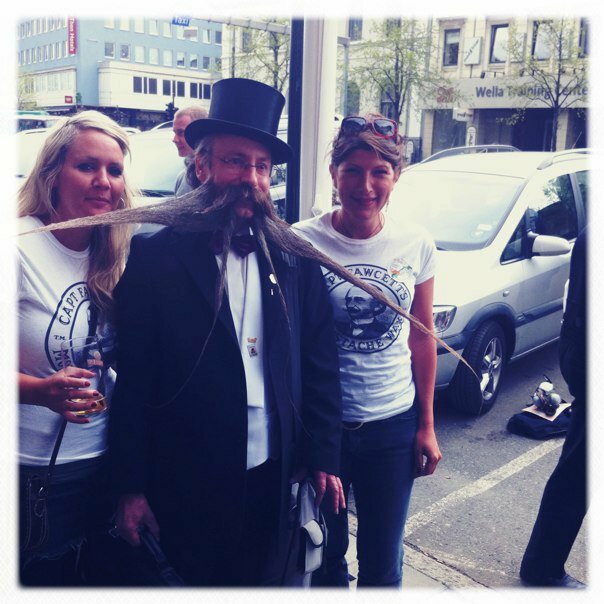 My good friend Laura and I were sent to Trondheim by the Captain, armed with plenty of Captain Fawcett's moustache wax , business cards and leaflets. I hope we did the Captain proud! 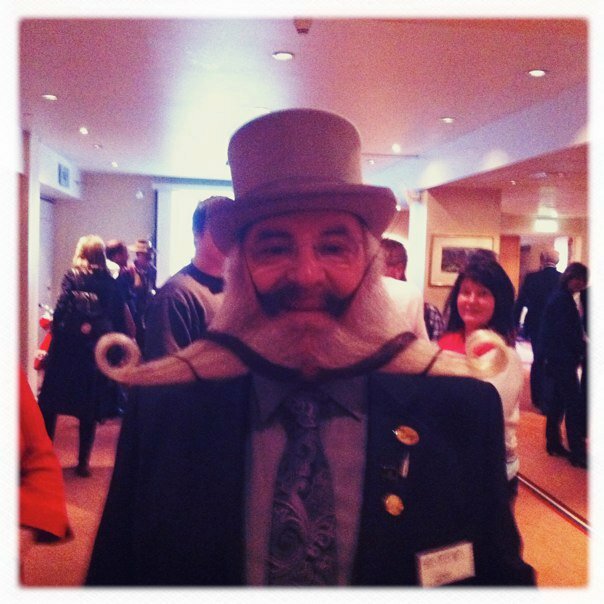 Did you meet any famous faces of the Beard & Moustache world? Yes we met many of the competitors and winners. 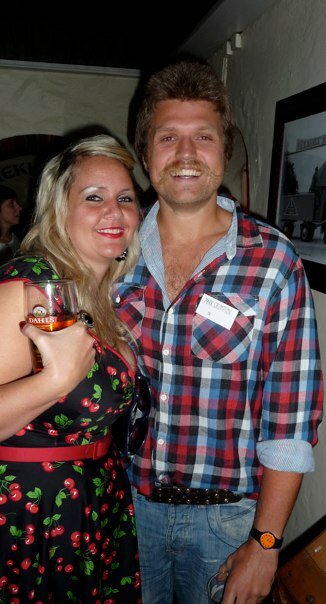 They were the loveliest people - obviously eccentric - and hilariously funny. I don't think Laura and I have laughed so much in a long time! There were parties in the local bars most evenings too, so we got a chance to mingle and peddle our handmade moustache wax to them. We both left Trondheim with a new appreciation for hot bearded men! You & Laura dressed up in some Deadly clothes to help sell Captain Fawcett's Moustache wax - do you think it helped get you noticed? Absolutely! 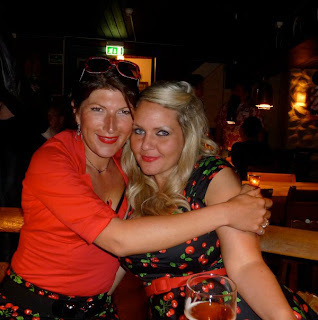 We wore our gorgeous Deadly outfits on the Saturday night (the Championship was the next day) and we received a lot of attention in them. 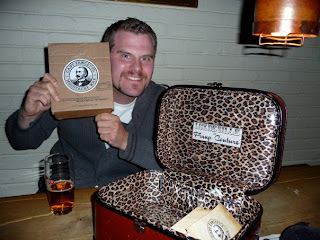 I also had one of your fabulous train cases to keep our wax and business cards in. Even that received a lot of attention, with gallant gentlemen offering to carry it for me when it got too heavy. I can't recommend your clothes enough. They fit beautifully, hug all the right places and made us feel like a million dollars! What are your plans now with the Captain? We're busy finding new suppliers for his wax and it's already being stocked by The Chap magazine, Trumpers, Carter and Bond and AH Hale in Bath as well as being endorsed by the Handlebar Club and PAM London. Orders are increasing every day from around the world, so the Captain's being kept very busy despite his debilitating dose of scurvy! We're also planning our next trip to the US Championships in October. I'm actually helping out with a Facebook campaign to persuade Tom Selleck to judge it. 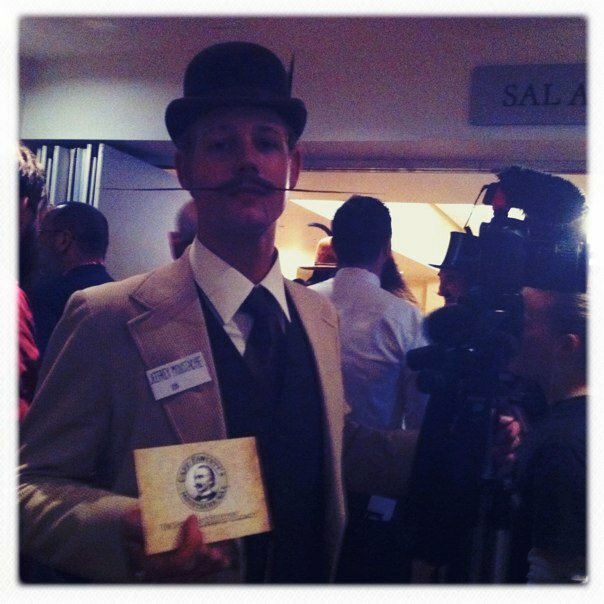 We’ve got big plans for Captain Fawcett's moustache wax so watch this space! And finally, where can you buy the 'Gentleman's Stiffener'? 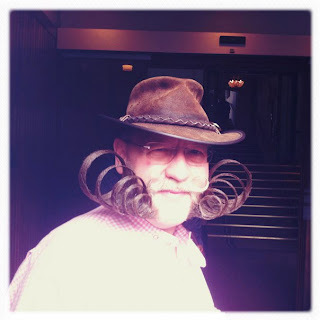 Here are some photos taken by Allie and Laura of some of the amaizing people they met. Oh now we really want to go to the championships in America - it looks like they had a blast! Posted by Deadly is the Female at 12:57 | | Estou lendo: Deadly doll's at the World Beard & Moustache Championships!Tweet this! | Assine o Feed. 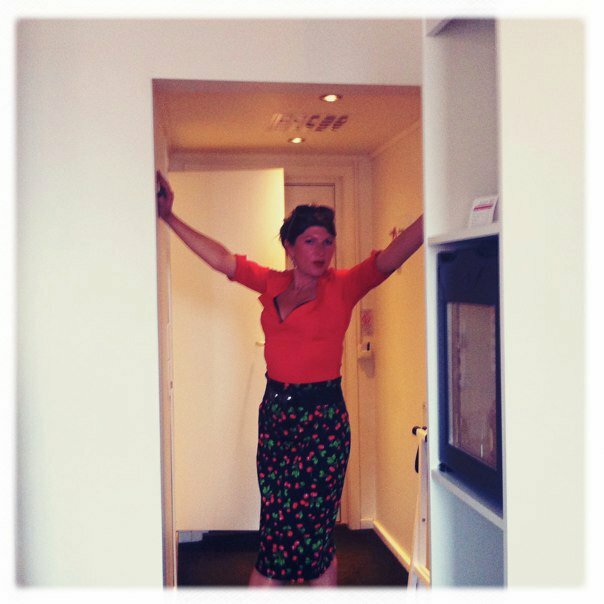 Deadly is the Female is a boutique & webshop specialising in 40s/50s style pin up, burlesque and femme fatale fashion - we have EVERYTHING a pin up could need...and now you can read a little bit about what we get up to! The Artisan Market Is Back! I Can't Believe Its Summer!